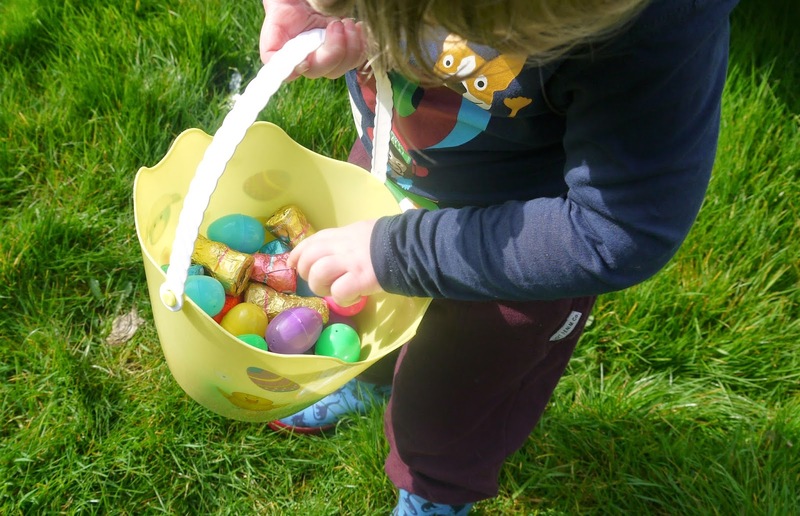 Hello lovelies, yesterday we had such a great day! 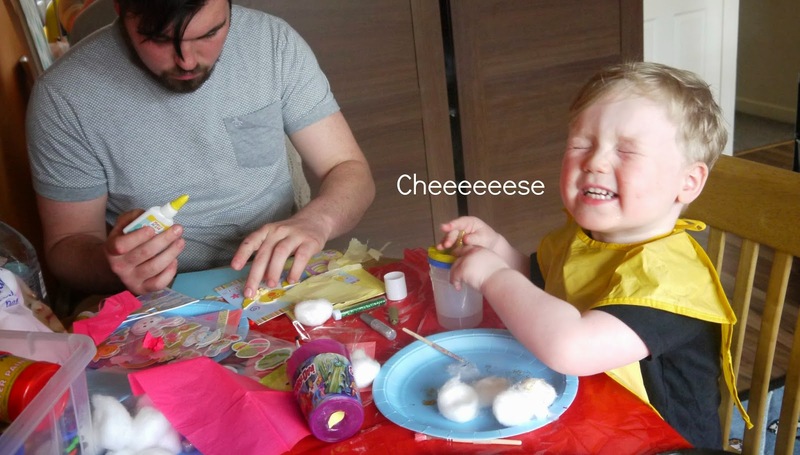 It was Easter Sunday and we went all out, we started the day by going to soft play nice and early as Oscar loves going down all the slides and jumping in the ball pits we then came home and did lots of crafts, we made cards for the family, painted bunnies and other bits and bobs. 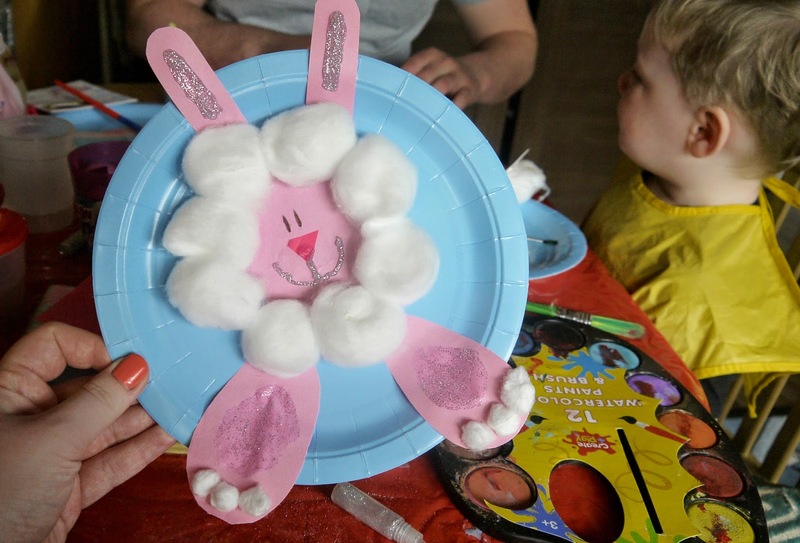 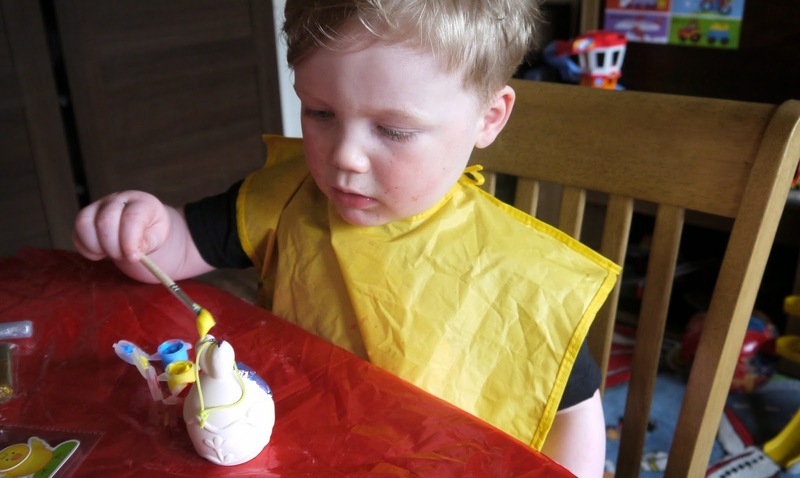 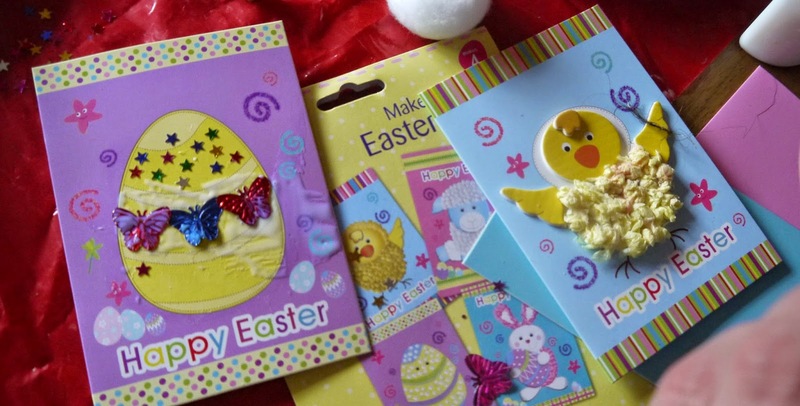 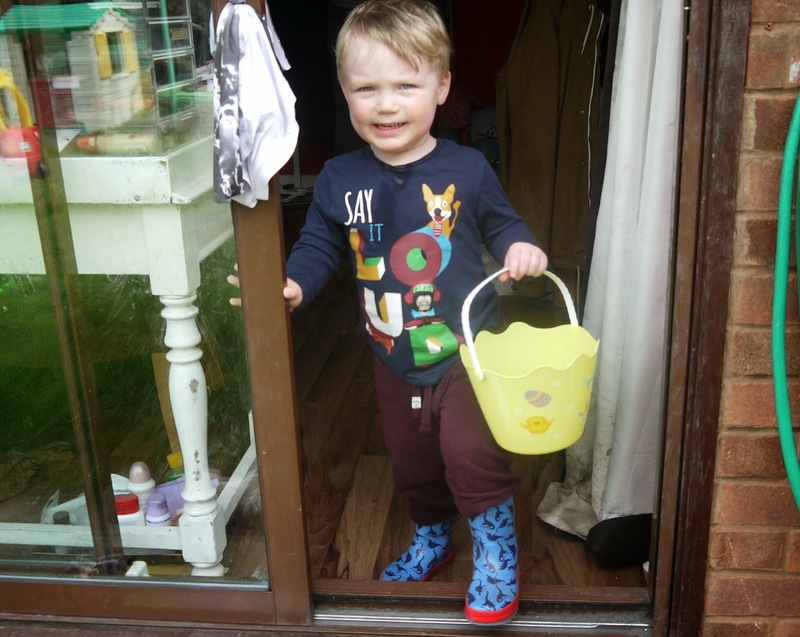 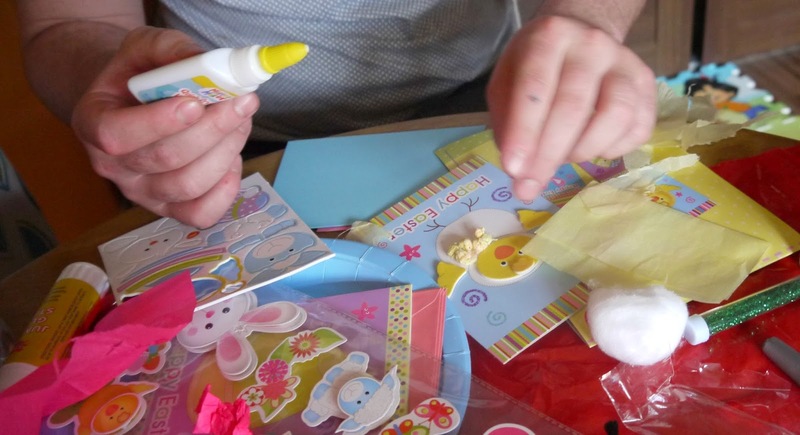 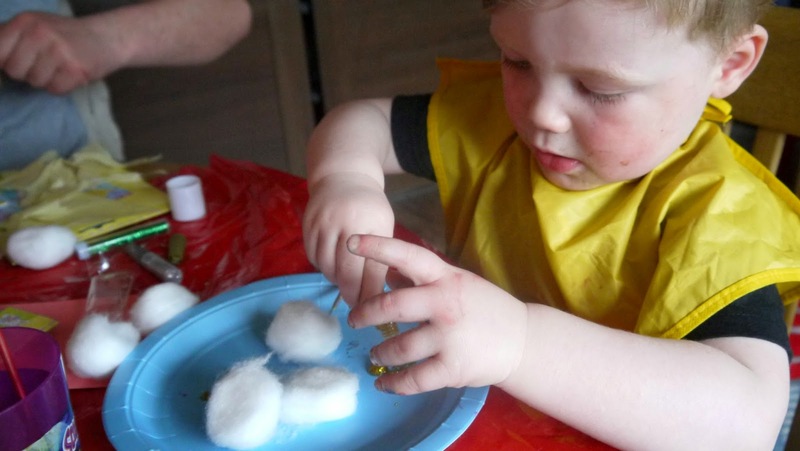 This post is very photo heavy but I hope you like them, during the crafts I left Oscar and Daddy to it whilst I sneaked off to prep the garden for the Easter egg hunt, Oscar soon got bored of painting and came running to the back door with his easter basket. 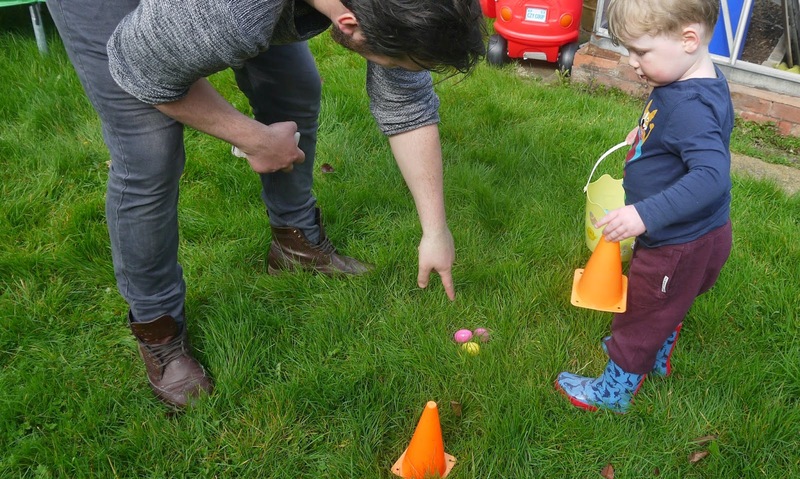 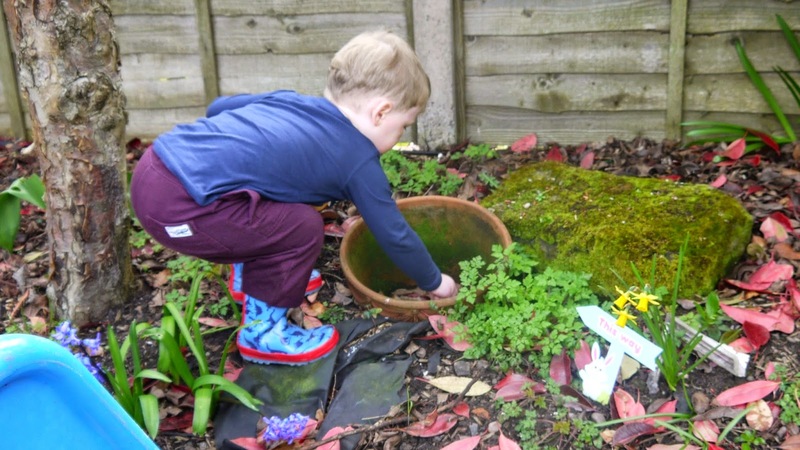 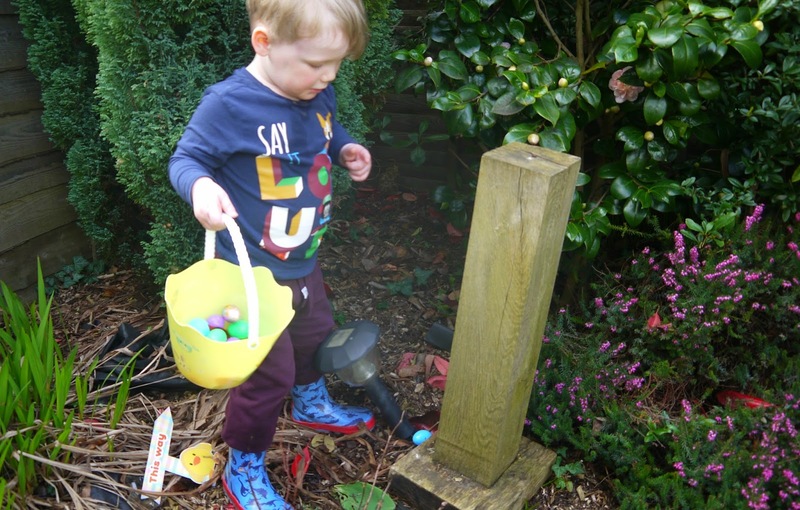 I dotted easter eggs and chocolate bunnies all around the garden for him to find with a little help from Daddy and he had so much fun, he said after he found them all 'more eggs?'. 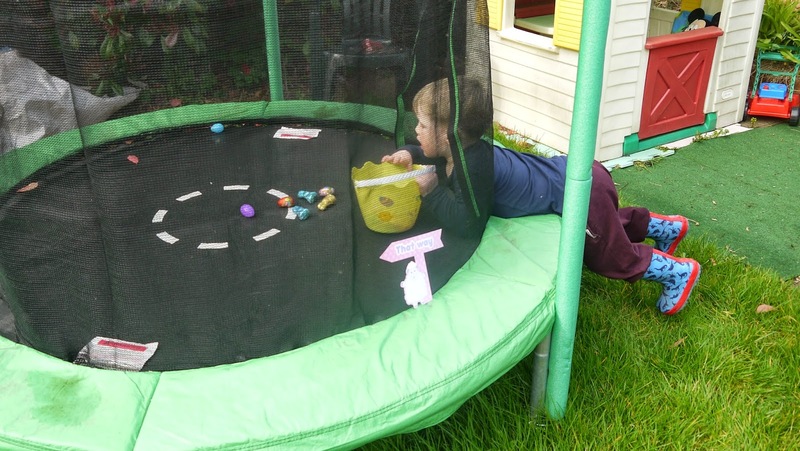 I also finished the hunt of with a big easter bunny to go with the big collection he got from all the family. 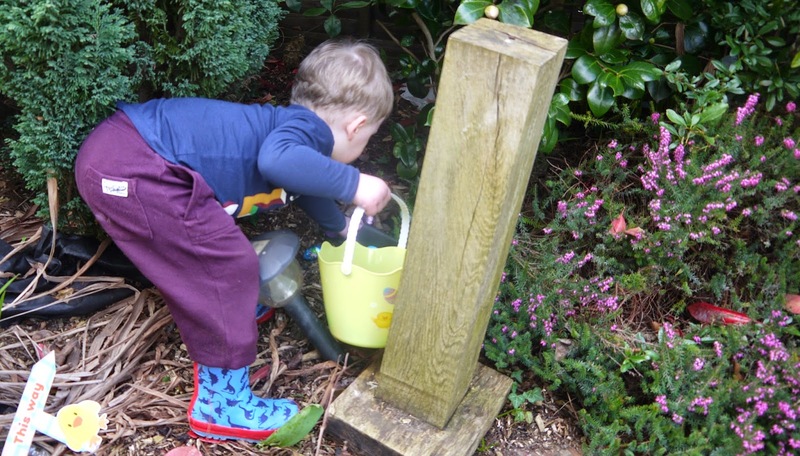 We had a few bunnies then spent the evening at Nanny's house as the weather was gorgeous we sat in the garden most of the day, played in the sand pit, watered nannies daffodils and even washed Daddy's car! 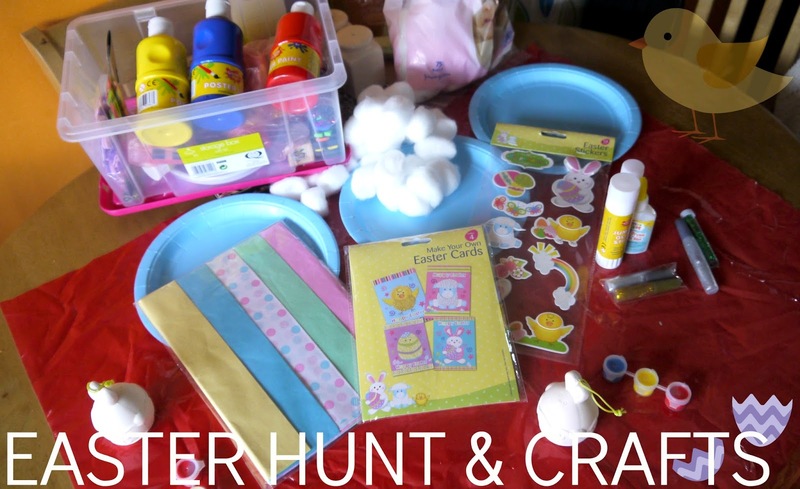 It was a non stop day but I loved every minute of it, can it be Easter Sunday again next week?! 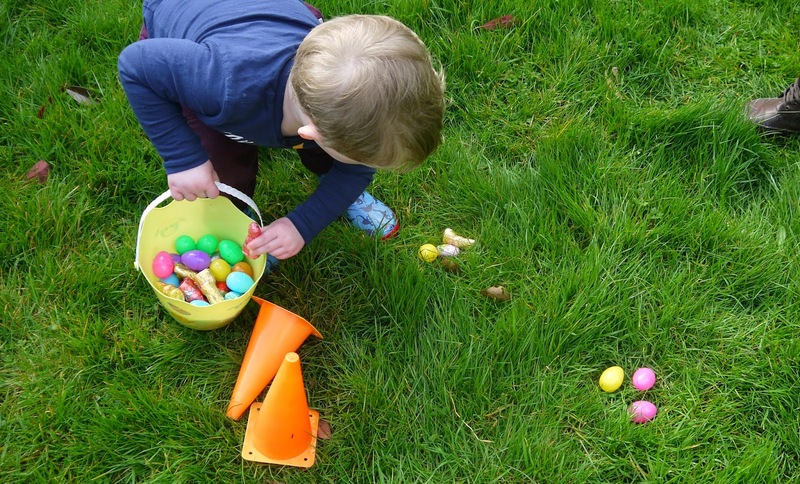 On the Saturday I made some chocolate rice krispies cakes for us all to enjoy on the Sunday but most of them got ate on Saturday 'cough cough Daddy'. 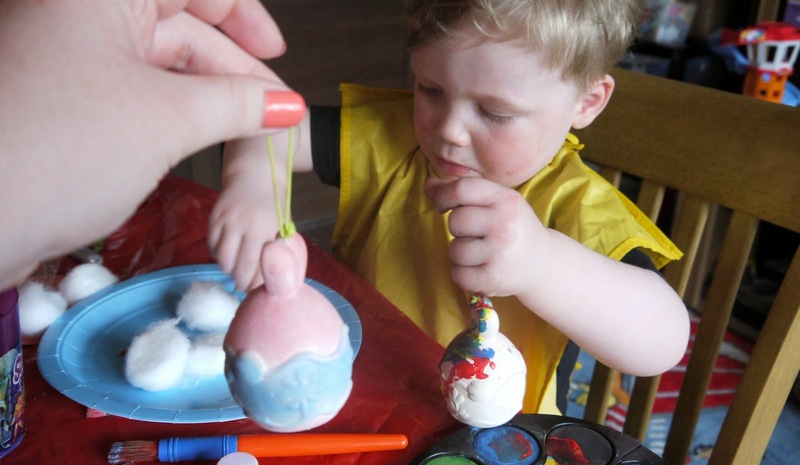 They were extremely yummy and so easy to make! 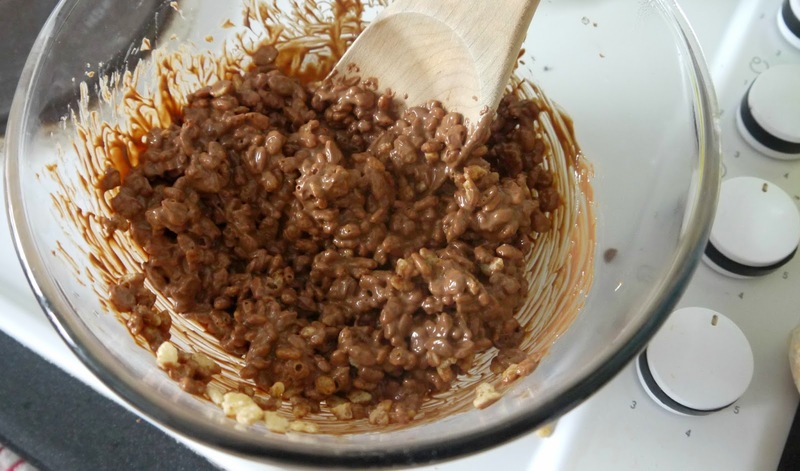 Melt the chocolate, add in the rice krispies and place into cup cake holders, you then must leave them to cool for a few hours so they glue themselves together before eating however tempting as it is. 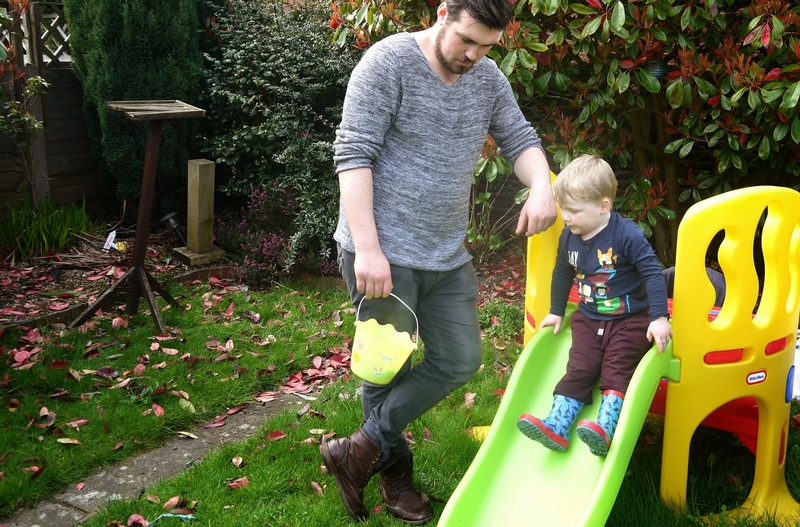 I hope you enjoyed our Easter post and you all had a great one yourself. 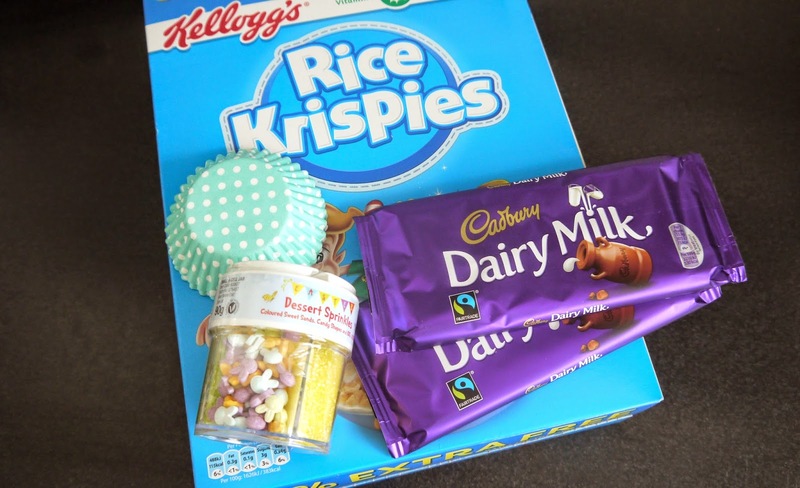 WHAT'S INSIDE MY SPRING MAKE UP BAG?